These lovely Glass Beads from Prima and Finnabair will add shimmer and texture to any mixed media project, card and scrapbook page. Beads can be adhered with any liquid adhesive or Prima's gel mediums or pastes. Beads have a small opening in the center so they can also be used for jewelry making. 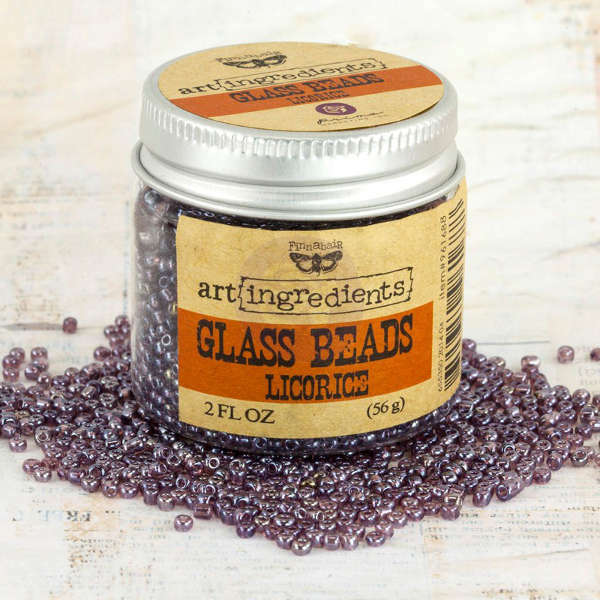 Once you try these micro baubles, you'll wonder how you ever lived without these sweet mixed-media beads!